Home to one-fifth of the global population, China is seeing “great pressures on natural resources, including forests,” according to a recently published FTA-related study, China’s fight to halt tree cover loss. The country is making concerted afforestation efforts and working hard to reverse the trend of tree cover losses, says the study, which analyzed reforestation in China. China’s forestry expenditure per hectare is over three times higher than the global average, the study noted, and the country has invested over US$100 billion into six key forestry programs in the past decade. Despite this, the research showed that China’s forest cover gains are highly dependent on definition; one has to look at how the term ‘forest’ is used in order to quantify them. The issue of forest definitions has fundamental implications on the way afforestation and deforestation numbers are reported, can be compared and may be appropriately understood by all, as discussed in a recent blog post, One number to rule them all, by Peter Holmgren. The recent research paper carefully avoided using the term forest in its title, said FTA scientist Meine van Noordwijk, who was not involved in the research. 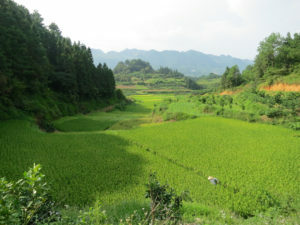 “It challenged the various definitions of forest that may cause more confusion than necessary, and preferred the more objectively observable ‘tree cover’ term for discussing what types of changes are occurring in China and whether or not the investments made by the state are delivering the services society wants,” he explained. 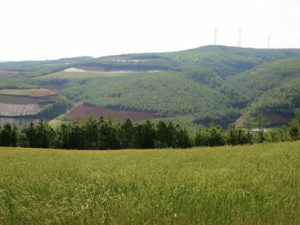 “The CGIAR Research Program on Forests, Trees and Agroforestry was explicitly set up to deal with the whole continuum of land cover and land use types, without prejudice to any specific interpretation of what is and what is not included in ‘forest’ or ‘agroforestry’ as separate categories. Indeed, the trees are bridging a wide spectrum of land uses,” Van Noordwijk added. The New York Times, in a recent article on the research, questioned whether “official estimates of China’s greening campaign overstated its successes,” by mistaking shrubs for forests. His comments shed light on the matter by offering more ways to understand the determinants of this complex debate surrounding the methods and definitions used for measuring forests. TIF, TOF and TOTOF trees or universal tree rights? Forests: What’s in a Name?